Armani Junior is a brand for kids under the parent brand of Giorgio Armani, an Italian designer and design house. The products are comfortable, durable and stylish. 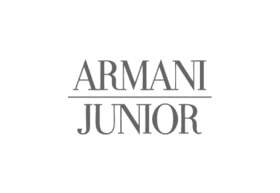 Armani Junior retails carefully designed clothing and accessories for everyone from newborn kids to 16-year old teenagers, and have products for both girls and boys. The range also features a gift collection for expectant mothers and their yet to be born babies.